Panasonic UK has announced today an end to its distributor agreement with TF Solutions. 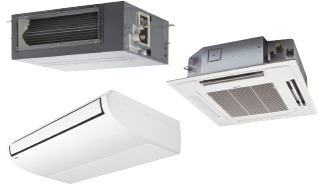 Panasonic has introduced its most advanced Etherea VKE series to date. The new VKE models boast the highest energy class, A+++ in heating and A+++ in cooling, of any Etherea range so far. 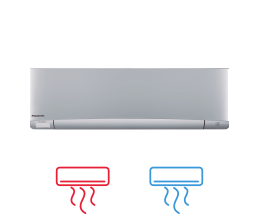 With a slim and elegant design, plus new nanoe™ X air purifying technology and built-in WLAN connection - the VKE models provide a stylish and more intelligent air conditioning solution. Available in a range of capacities, there’s an Etherea model that suits every space. 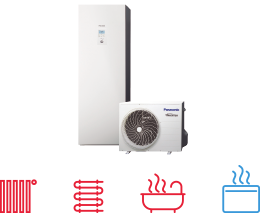 Panasonic Heating and Cooling has introduced a new WLAN adaptor for its commercial range to enable wireless control from any smart device. 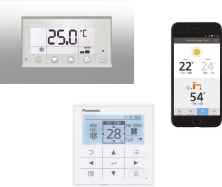 The new adaptor enables connection to the Panasonic Comfort Cloud app, offering users easy control of commercial units from anywhere in the world. Panasonic has introduced a new Aquarea Cascade Controller, with a highly integrated interface, to deliver increased energy-efficiency for large applications. Panasonic has received an iF Design Award for its residential Floor Console Air Conditioner. The iF Design Award, presented by the International Forum Design, celebrates outstanding design amongst designers and manufacturers, providing a gold standard for pioneering products. Judges consider everything from environmental impact, functionality and cosmetic appearance. Panasonic is delighted to announce their sponsorship for the upcoming CIBSE North East Annual Dinner. Taking place on Friday 1st February 2019 and hosting nearly 400 people at the Newcastle upon Tyne Civic Centre. Panasonic is pleased to announce they have been shortlisted in two categories in the upcoming and highly regarded H&V News Awards for 2019. The two categories are for Renewable Project of the Year with the holiday bubble style Dome project and in the Air Movement Product category with the new Hybrid VRF. Panasonic is proud to announce their sponsorship for the forthcoming esteemed CIBSE Building Performance Awards 2019 for the category of Building Performance Consultancy of up to 100 employees. The deadline for the PRO Awards 2018 is extended until Friday 23rd November, giving entrants an additional two weeks to submit their project entries. November 19th – 21st 2018 – Lago di Garda, Italy Panasonic has announced it will once again be a Silver Sponsor at ATMOsphere Europe this November. At the ninth annual conference Panasonic will be highlighting solutions that support a sustainable cold chain, focusing on CO₂ refrigeration technology. 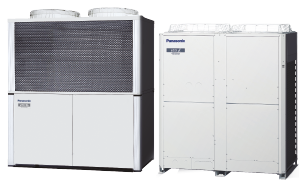 Panasonic was crowned winner of the Refrigeration Product of the Year with its ground-breaking CO2 Condensing Units, in addition to receiving a Highly Commended award for Cold Chain Innovation at the prestigious 2018 RAC Cooling Awards.